Choi‘s exhibit, titled Path, will be in the Tony Hungerford Memorial Art Gallery inside the Fine Arts Center, or FA Building, located at 8730 Mitchell Road in La Plata. An artist lecture will be held 2:30 pm March 14 in the Community Education Building (CE Building) in Room 101. A reception will follow in the Hungerford gallery. Choi’s exhibition explores the journey of life. A Korean ceramic artist, she makes small, delicate, yet crucial blends of traditional Korean surfacing methods using contemporary objects. According to her website, Choi earned a bachelor of fine arts and a master of fine arts degree in ceramics from Ewha Womans University in Seoul, South Korea. She then went to Michigan, where she earned a master of fine arts in ceramics from Cranbrook Academy of Art. Her website says that since 2007, Choi has been head of the ceramics program in the School of Art, Design, and Art History at James Madison University in Virginia. 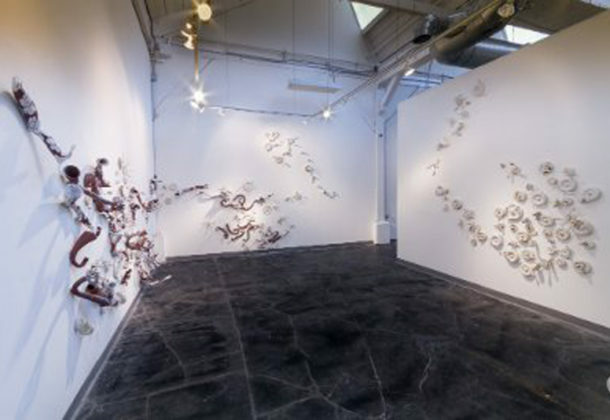 Throughout her career, Choi has received the Visual Arts Fellowships from the Virginia Museum of Fine Arts, International Artists Exchange Program Grants from the Lighton Foundation and the CVPA Faculty Summer Research Grant at James Madison University. Visit the Tony Hungerford Memorial Gallery between 9 am and 9 pm Monday through Friday; or 10 am to 6 pm on Saturdays. Visiting the exhibit is free. For more about the College of Southern Maryland and its various campuses and programs, visit its Leader member page.